Sebanyak delapan perusahaan rintisan atau startup Indonesia memamerkan inovasi mereka pada pameran teknologi dan informasi terbesar di Australia, Centrum fur Buroautomation, Informationteknologie und Telekomunikation (CeBIT). INDUSTRY.co.id - Jakarta - A total of eight startup companies or Indonesian startups exhibit their innovation at Australia's largest information and technology exhibition, Centrum fur Buroautomation, Informationteknologie und Telekomunikation (CeBIT). The event was held in Sydney on 15-17 May 2018 ago. 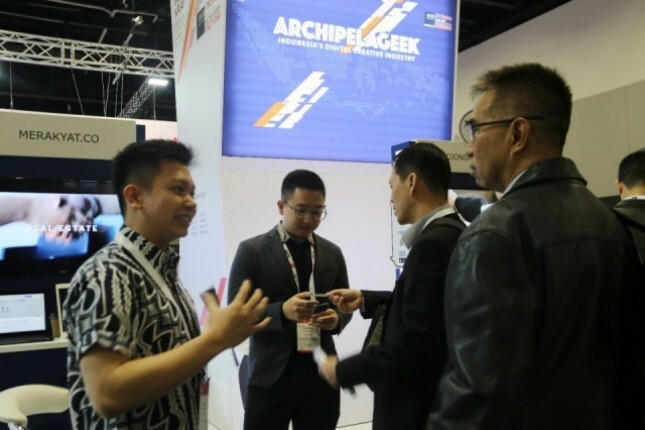 Based on information from the Indonesian Consulate General in Sydney, Heru Subolo, as quoted by Antara, Friday (18/9) mentions that the Creative Economy Agency (Bekraf) in cooperation with the Ministry of Commerce and Trade Promotion Center Indonesia (ITPC) Sydney opened the Indonesian Pavilion themed " Archipelageek "which officially opened on Tuesday. "CeBIT can be a means to showcase the achievements of Indonesia's digital sector to the Australian community and strengthen business ties with various digital actors in Australia," said Consul General Subolo. He also hopes Indonesia's participation in the activity can attract investment and cooperate to improve Indonesia's digital products. The eight Indonesian pilot companies selected through the curation process to participate in CeBIT are Squiline, Medico, 8Villages, Nicslab, Yava-Solutions 247, Jojonomic, Ukirama, and Metabuilders (Merakyat.co). The exhibitors offer innovative solutions, ranging from hospital management, data management, business management, online or online language learning, efficient research facilities and an improved system of agricultural production quality. One of Squline's founders, Tomy Yunus Tjen, hopes that his company's participation in CeBIT will be able to upgrade and expand the online language learning platforms he develops to Australians who are interested in learning Bahasa Indonesia. Meanwhile, Kevin Eka Putra, one of the founders of Ukirama, who is also a graduate of the University of New South Wales, hopes his participation in CeBIT this time can be an inspiration for Indonesian students to work in the digital sector of Indonesia. CeBIT Australia 2018 itself has been officially opened by the Minister of Finance, Services and Property of the Government of New South Wales, Victor Dominello.